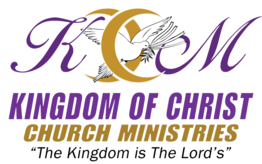 It is with great joy that we welcome you to the website of the Kingdom Of Christ Church Ministries. We thank you for taking the time to visit our website, and pray that you will be encouraged and inspired as you tour it. Feel free to visit the various links, for we know you will be enriched as you explore the different aspects of KCCM. Visit our "Teaching" page for more information and Daily inspirations! 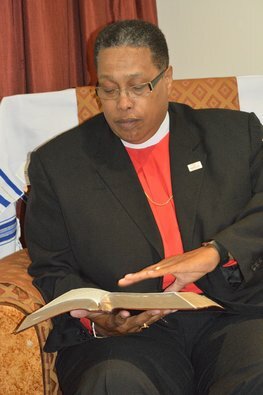 Kingdom Of Christ Church Ministries offers two services each week. Special Services such as UnMasked & UnBound ., Strengthening The Brethren can be found on our events page. Do you have something in writing about what you believe? Our Statement of Fundamental Truths concisely outlines most our church's core beliefs. What do people wear to your services? Each service has a different style. 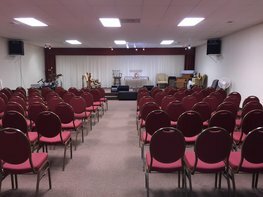 Our Bible Study and 4th Sunday services are casual, and you will see more men wearing wearing Jeans and Sneakers, and more women wearing comfortable skirts and blouses. Our Sunday morning are more traditional, you’ll see more men wearing suits and ties, and more women wearing dresses. However, we don’t want the attire that we wear to cause you to stay home. Come wearing what you have within modest taste. Why do we stand during praise & worship? The Praise Team, Music Department, and Liturgical Arts Department are not entertainment, but their ministry should motivate us to have an active participation in the act of glorifying the Lord in our own way. II Chronicles 20:19 "Then the Levites of the children of the Kohathites and of the children of the Korahites stood up to praise the Lord God of Israel with voices loud and high." Why do we clap our hands during praise and worship? Why do we praise God with our voices? Why do we dance during service? Why do we use flags during praise and worship? Why are musical instruments used in worship service? Why do we bring God the tithe? Why do we give God offerings? How does your church help those in need? Kingdom Of Christ Church Ministries is committed to fulfilling Jesus’ command "to love our neighbors as ourselves" (as stated in the Gospel of Matthew 19:19). Each weekend we extend ourselves into the local community to distribute groceries, feed the homeless, and more. Our purpose for serving the needy is to bring glory to God. When people see His love lived out through his people in sensible means, it demonstrates that God’s love can prevail over indifference, selfishness, and the other issues of our current age. "Let your light so shine before men, that they may see your good works and glorify your Father in heaven" (Matthew 5:16). 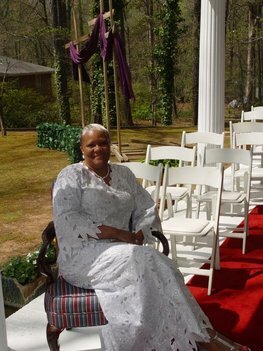 Anyone who professes Jesus Christ as her/his Lord and Savior is eligible to become a member. You do not need to become a member to attend the KCCM Sunday Worship Experience, or Bible Study. However, we invite you become more acquainted with who we are and our essential reasoning for ministry. When you feel that you are ready to commit to membership, and participate at a deeper level in church activities, we invite you to join our new members class. There you can learn more about this ministry, and its leaders.